Golf Explorer's 'Four Reds' golf and wine packages are profiled in the October edition of Golf Digest Magazine. 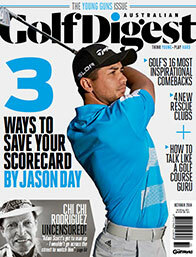 Click here for the Australian Golf Digest feature. 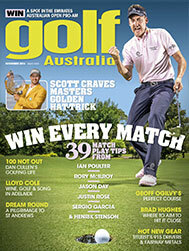 Golf Australia magazine feature Golf Explorer's 'Four Reds' golf and wine packages in the November issue. Click here for this great feature written by Lloyd Cole. Adelaide's most prestigious golf clubs have partnered with four of South Australia's best wineries and Golf Explorer to offer the ultimate golf and wine holiday packages. 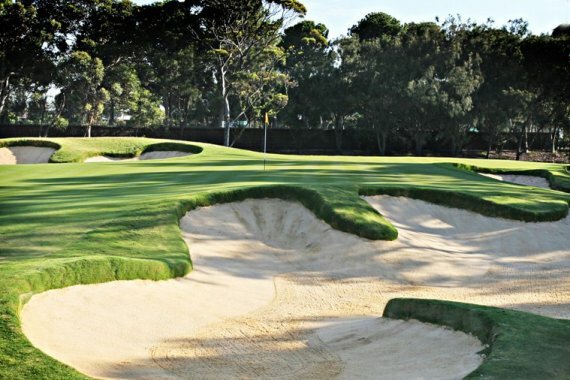 Play at Royal Adelaide Golf Club, Grange Golf Club, Kooyonga Golf Club and Glenelg Golf Club, and at the end of each 18 holes, enjoy a bottle of specially paired premium wine – each bottle valued over $100 – along with a tasting plate sourced from the gourmet producers of South Australia. 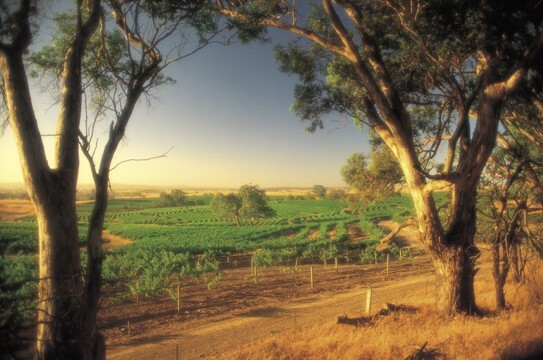 Visit at least one of Adelaide's famous wine regions. Stroll through Adeaide's Central market - an international melting post of food and flavours. Drive into the Adelaide hills and admire the city views. 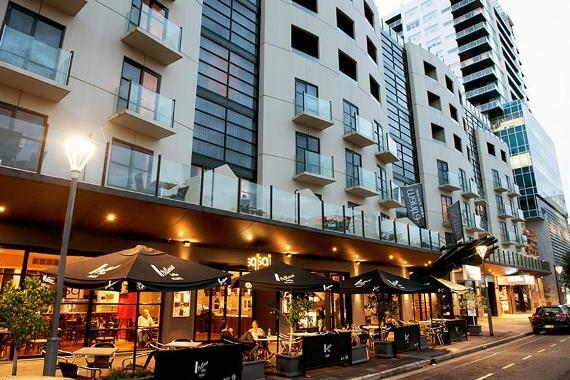 Take the tram from the city to Glenelg, Adelaide's premier beaside suburb. 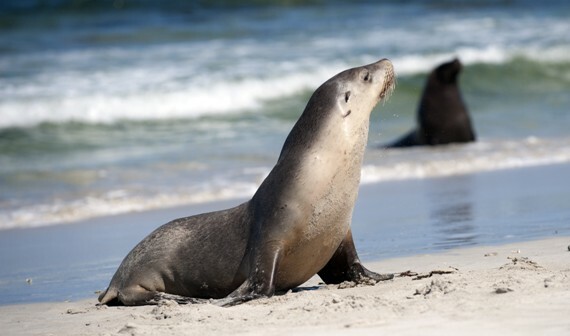 Extend your stay and book an add-on to Kangaroo Island. Private transfers are included in all of our Four Reds packages but car hire can be organised through Hertz, our preferred provider. Adelaide has a mediterranean climate. Long hot summers with relatively dry but cool winter months. 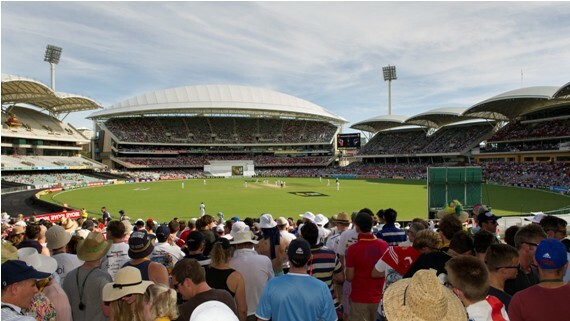 Adelaide enjoys the lowest humidity of any Australian mainland city. Cannot get Adelaide location id in module mod_sp_weather. Please also make sure that you have inserted city name. 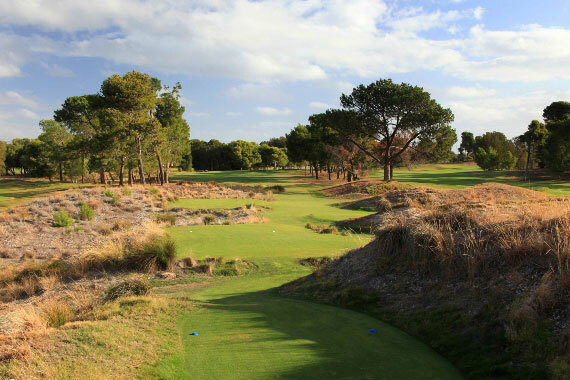 Golf Explorer is proud to present the most prestigious golf package in South Australia – Four Reds. 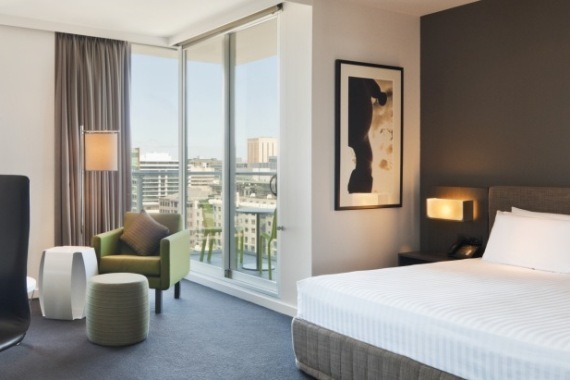 The Four Reds package is so much more than a simple golf vacation, it’s an experience that seamlessly combines playing fabulous golf courses and drinking some of the best wine in Australia, if not the world. If your passions include golf and fine wine, the Four Reds package should be at the very top of your bucket list. The Four Reds concept involves 4 of Adelaide’s most prestigious golf clubs pairing with 4 of South Australia’s best wineries and Golf Explorer to offer the ultimate golf and wine holiday. 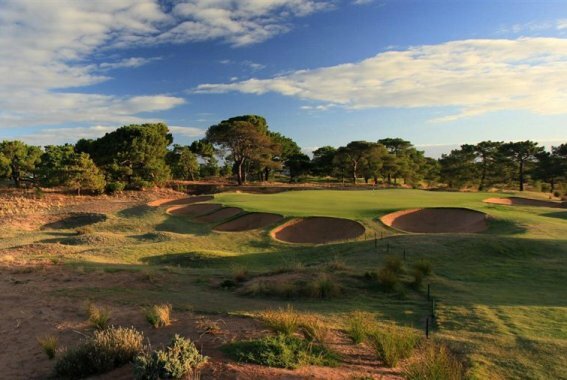 The Adelaide golf clubs involved in this innovative Golf Explorer package include the Glenelg Golf Club, Grange Golf Club, Kooyonga Golf Club and the Royal Adelaide Golf Club. This package includes a round of golf at each of these courses and upon reaching the 19th hole your party is presented with a specially selected fine wine and a tapas plate of the chef’s seasonal produce. We believe this is a fantastic way to conclude a fantastic day’s golf and we’re sure you will agree. 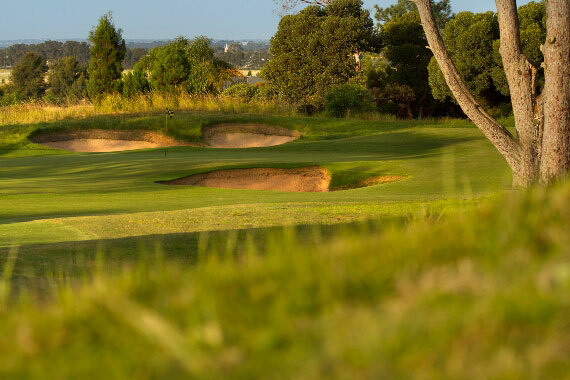 Each of the Four Reds Adelaide golfing packages are between 3 and 6 nights, which provides you with plenty of time to sample the finest golf courses that South Australia has to offer. Below you will see a brief synopsis on some of the golf packages we offer. Please see the relevant part of our website for more options. 72 Hole golf Challenge consists of 5 nights in a central Adelaide hotel and includes a single round of golf at each of the Four Reds golf clubs with specially selected wine and a tasting plate when you have finished your round. This particular golf package is very popular as we think it provides you with just the right balance of golf, wine and sightseeing opportunities. 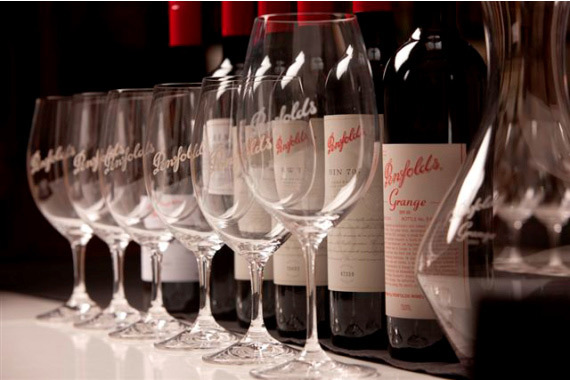 The Four Reds Vintage Experience is a 6-night package and also consists of a single round of golf at each of the Four Reds golf clubs and also includes a full day private wine tour to the Barossa Valley. This private tour includes exclusive VIP access to 3 wineries and gives our guests the opportunity to see where and how their favourite wine is made. This particular package is tailormade for wine enthusiasts who like to get out into the country as part of their golf holiday package. The Four Reds Turns Pink package is a 5-night package that is especially tailored towards lady golfers with 30% of the profits from this package donated to the McGrath Foundation. This very special golfing package consists of 4 rounds of golf (one each at the Four Reds Golf clubs) and some special wines and gifts. This golf package can be tailored to your own timescales/requirements. Please contact us for details. For full details of all our Four Packages please visit our Four Reds page or call Golf Explorer directly on +61 8 8376 4495.